I wanted to update you on Jennifer’s story, and tell you about the greatest endorsement of UGM that I’ve ever heard in my 29 year career at the mission. Thursday, June 28th, Federal Judge Robert E. Jones was to hand down the sentence to our Women’s LifeChange resident Jennifer, for her conviction of drug trafficking. The U.S. Attorney’s office was asking for a sentence of 46 months in federal prison for her. Today was the sentencing. Jennifer’s attorney, federal public defender Susan Russell, did a great job of telling Jennifer’s story. Her office produced a video that combined comments from Jennifer, her three children, our Women’s LifeChange Director Johnni Olson and myself. Jennifer is doing marvelously as a Women’s LifeChange intern working with our Search + Rescue team. 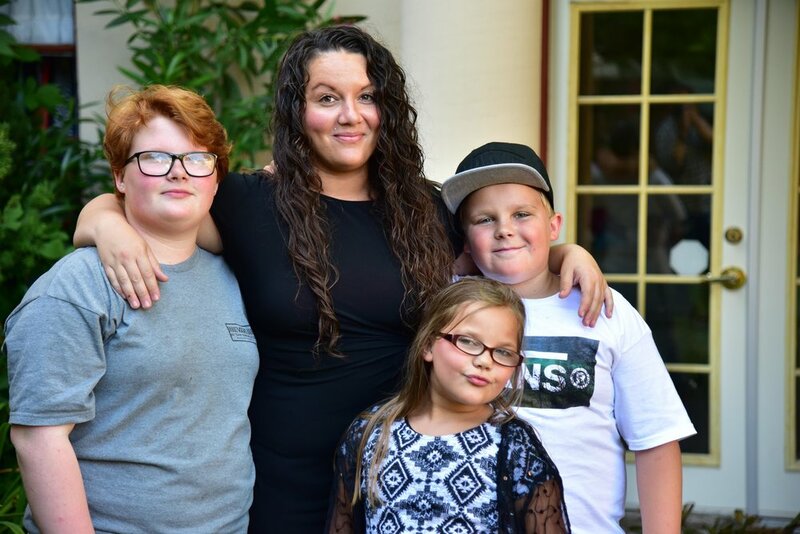 The thought of Jennifer being separated from her kids, while doing nearly 4 years in prison, generated strong prayers from her friends, family, and the mission staff. Our Women’s LifeChange Director Johnni Olson and I put a lot of thought and prayer into our support letters. While this is not our first go-round in federal criminal court in Portland, we wanted to be truthful and capture the reality of what God has done in making Jennifer new. After both Jennifer’s lawyer and her mother spoke, Jennifer herself, through authentic tears, apologized to the court for her bad parenting, bad choices, and her bad act of selling strong heroin to a fellow addict causing his death. He quoted the Latin phrase “acta non verba” – “deeds not words.” He told Jennifer that her actions over the last two years in LifeChange speak louder than all of our carefully and prayerfully crafted words. The Judge appreciated how she had taken full responsibility for her failings as a person and a parent. He also appreciated how she showed her new heart by being a good mom and becoming a giver, a helper, not a taker. Then Judge Jones looked at those of us from UGM in the courtroom, he told us plainly how impressed he is with LifeChange, calling the programs results extraordinary. Considering Jennifer’s authentic transformation, Judge Jones gave Jennifer 5 years’ probation instead of prison. He reminded her, one slip, one mess up one relapse there is a 20 year sentence waiting for her. I teared up at the reality of the power of God that has changed Jennifer’s life so dramatically. Then I thought of all the people God used to assist Jennifer in her change. Thank you! I thank our UGM family and friends for your hard work, your generous giving, your prayers and your other sacrifices. Pray for Jennifer as she lives out her five years of probation. The judge set her free from the penalty of incarceration just as Jesus has set her free from the penalty of her sins.